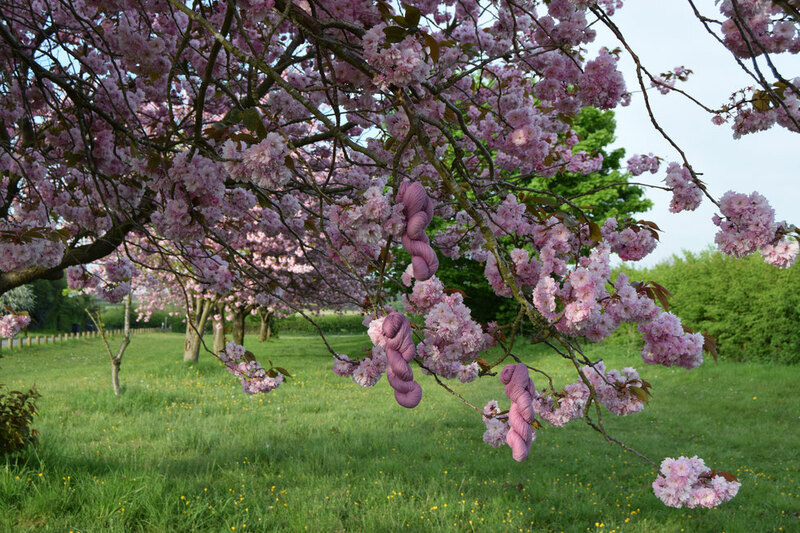 Spring in Sherwood is a delight, its inspirational colourways are a wonder to behold! The diminutive English bluebell carpets every available space on the forest floor, its drooping bell exuding a beautifully sweet scent in the dappled sunlight. 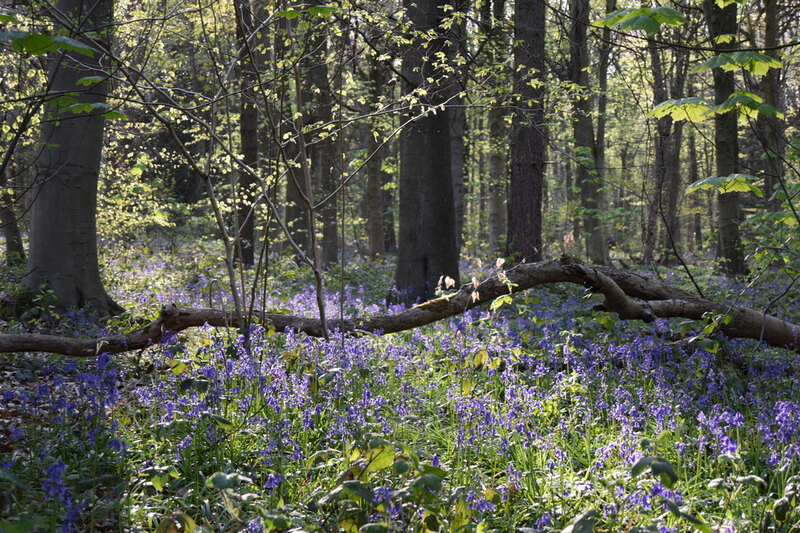 The bluebell is one of Englands many native flowers and would have undoubtedly been around in medieval times. An oak woodland carpeted in deep violet bluebells would have been a scene that Robin and his Merry band would have been familiar with. Alongside the bluebells are the delicate wood anemone and the distinctive clumps of wood sorrel with its trefoil shaped leaf! 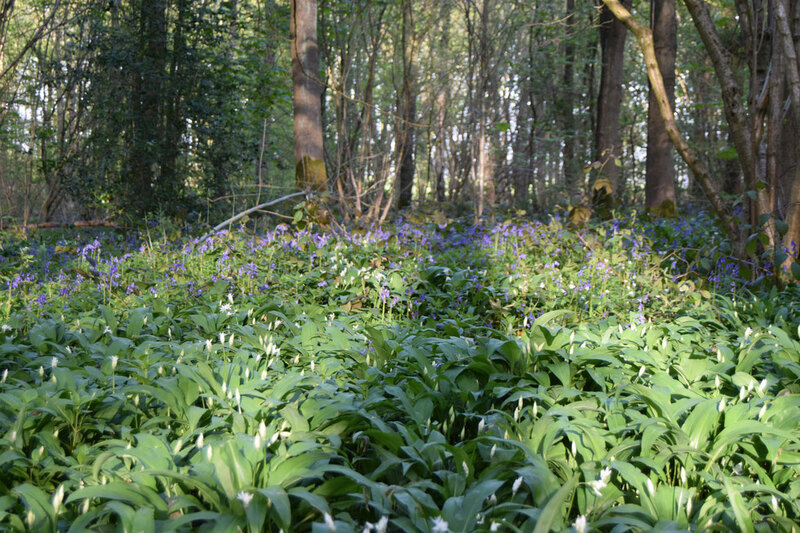 Just coming into flower is also wild garlic with its heady, almost overpowering, aroma and is often found alongside the bluebell in ancient woodlands. 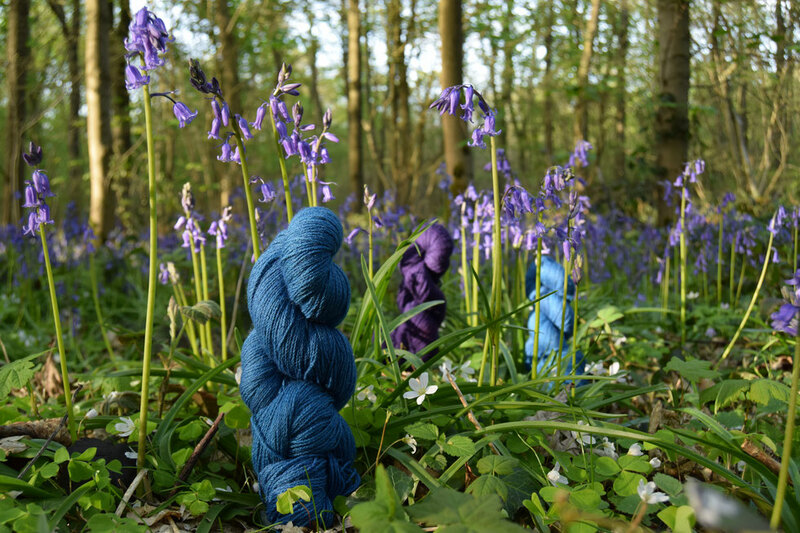 I am so lucky to have such inspiration on my doorstep, an indie yarn dyers dream! I anticipate that this weekend will involve a lot of strolling through these beautiful scenes. What a wonderful, inspiring world! I'm delighted to discover where you picked my Lionheart yarn.